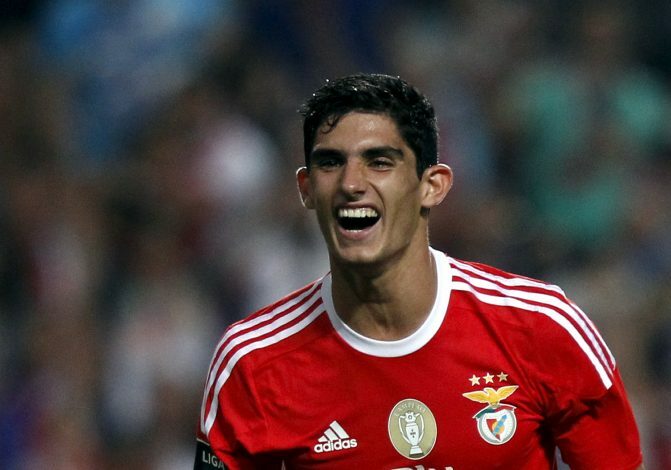 Manchester United are set to beat PSG to the signing of Benfica winger Goncalo Guedes. Mourinho is currently in search of a in-form winger to replace Memphis Depay. The Dutch youngster completed a £21 million move to Lyon on Friday, putting an end to his miserable year-and-a-half chapter in English football. Though he remains coy on transfers, Jose Mourinho is still looking for January reinforcements. And Portuguese newspaper Record have reported that Guedes is on the verge of a €30 million move to Old Trafford. The 20-year-old has helped fire Benfica to the top of the Primeira Liga table. He has netted 7 goals in 28 matches along the way while making his Portugal debut in 2015. While he is not exactly a prolific goalscorer, he has got all the elements to be a future world class attacker. Interestingly, Guedes’ agent is Jorge Mendes, who also represents Mourinho. The Portuguese outlet further claims that Benfica chief Luis Filipe Vieira has already reached London to hold talks with Mendes regarding a potential January deal. The Portuguese champions initially wanted Depay as part of a deal – but the Holland international wanted a move elsewhere. PSG are also strong admirers of Guedes, but Mendes’ influence could eventually swing the deal Manchester United’s way. The transfer could be completed in the next 48 hours. You have to remember, the Red Devils have been strongly linked with several Benfica players over the last 2-3 transfer windows, and haven’t been able to secure any deal. Renato Sanches opted for Bayern Munich instead, but Victor Lindelof could seal an Old Trafford move, as could Nelson Semedo. But as we all know, there hasn’t been any sort of breakthrough in both the deals after months of speculation. So, take the Guedes rumours with obviously a pinch of salt.